Capacity.. 3 800 000 litres. You hear of music being played to plants or cows. But not to barrels, like the Aberlour distillery manager who used to serenade the casks of maturing spirit with his bagpipes. Aberlour breeds strong characters – people with a long view. The current Whisky Maker and his team are the same men who originally laid down the casks of what is bottled today as 18 year-old. That’s continuity. There are still those who remember the brewer touring the distillery with a jug of new made whisky to give each worker a dram. Three times a day. At the distillery, the sounds of the chattering burn were many and various. From the cooperage came the wheezing of bellows, the clanging of hammers and the thud of new casks. From the mash room, the clatter of clogs on stone floors and the scrape of steel shovels. From everywhere, the slapping and whirring of belts driven by the continually revolving waterwheel. Today it’s quieter. Although the distillers use modern technology, they take pride in this rich past. When new stills were installed in 1975, for example, a time capsule was discovered with an 1898 bottle of Aberlour. They recreated it without adding water or using modern methods, by maturing the spirit in handpicked Oloroso sherry butts. Hence the spicy, full-bodied fruitiness and dark amber colour of each numbered batch of Aberlour A’bunadh – ‘the original’ in Gaelic. The stories of Aberlour are of knowledge and experience. Nature. Ambition. Skill. Community. 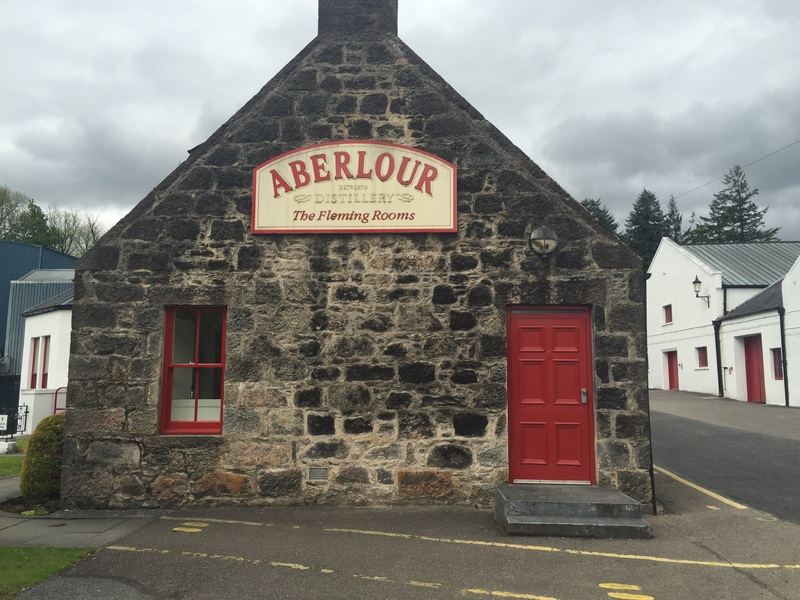 And in the town itself just as throughout the rest of the world, it’s in the telling that the generosity of Aberlour shines through.